52 cm tall (20 inches). 52 cm x 34 cm x 21 cm. 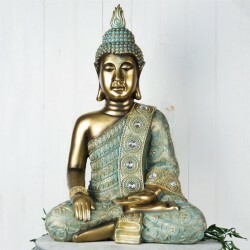 The Buddha represents the vast wealth of knowledge. The awakened one. Arrives in a protective box.